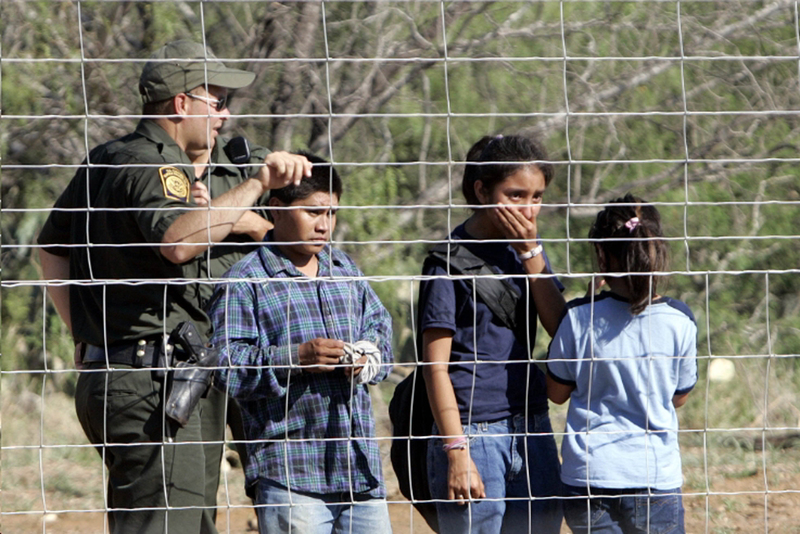 Children detained at the Tex/Mex border. File Photo. Hundreds of documents obtained by civil rights advocates show numerous cases of alleged abuse against immigrant minors under the custody of U.S. Customs and Border Protection. Allegations include verbal, physical, psychological and sexual abuse cases as well as failure to provide detained minors with basic necessities, this according to a report released Wednesday by the American Civil Liberties Union. The report is based on over 30,000 pages of documents obtained by the civil rights advocate organization through a Freedom of Information Act lawsuit. “The entirety of the documents show widespread and breathtaking abuse of immigrant children in CBP custody occurring between 2009 and 2014 along the southern border,” Mitra Ebadolahi, staff attorney with the ACLU’s Border Litigation Project, said. According to Ebadolahi, a large part of the documents came from the Department of Homeland Security Office for Civil Rights and Civil Liberties, which investigates complaints among other things. “The records received also reveal that the Department of Homeland Security oversight agency refused to meaningfully investigate various allegations, despite frequent and repeated allegations of the same type of degrading treatment throughout CBP operational zones along the southern border,” Ebadolahi said. U.S. Customs and Border Protection said in a statement that the report “equates” allegations with facts and ignores a number of improvements made by the agency. “The [Office of the Inspector General] has already completed an investigation and found these claims unsubstantiated and did not observe misconduct or inappropriate conduct,” the statement read. The report was compiled in conjunction with the International Human Rights Clinic at the University of Chicago Law School and the ACLU. Student teams reviewed the records and drafted the report shared on Wednesday. According to Nabihah Maqbool, a student at the University of Chicago who examined the documents, the records showed a lack of oversight and faulty follow through. Maqbool said the documents show abuses at every stage of the minor’s process in CBP custody across the southern border. According to CBP, the report contains “anecdotal assertions and does not provide specifics” and the agency was not contacted by the ACLU regarding its report or findings. The ACLU of San Diego and Imperial Counties launched a website that includes the report and documents obtained. 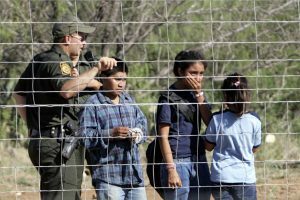 “This report shows us the cruelty in which Customs and Border Protection has treated unaccompanied children in their custody,” Astrid Dominguez, director of the ACLU Region Center for Border Rights, said. According to Ebadolahi, there is not a specific count on the number of cases because the case numbers were redacted, however, they believe that there is evidence of hundreds of cases.